Have you ever stopped to wonder what goes through the mind of an architect when she designs a house? 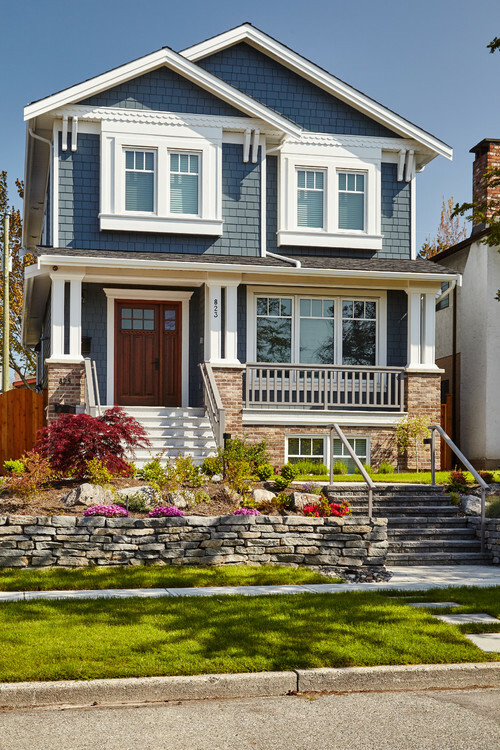 Sometimes you see a home with great curb appeal and you wish you could live there. Other times you walk down the street and an ugly ducking of a house pops out and you wonder why anyone would design a structure like that. I’ve always been fascinated with architecture and the thought process that went into the design. 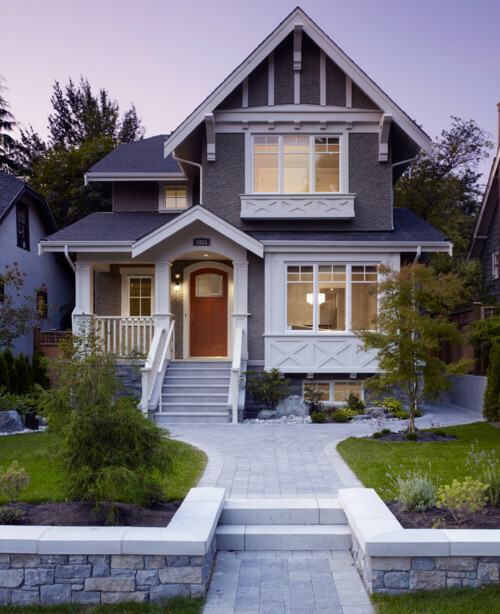 Here are 13 houses with great curb appeal that I think you might enjoy. 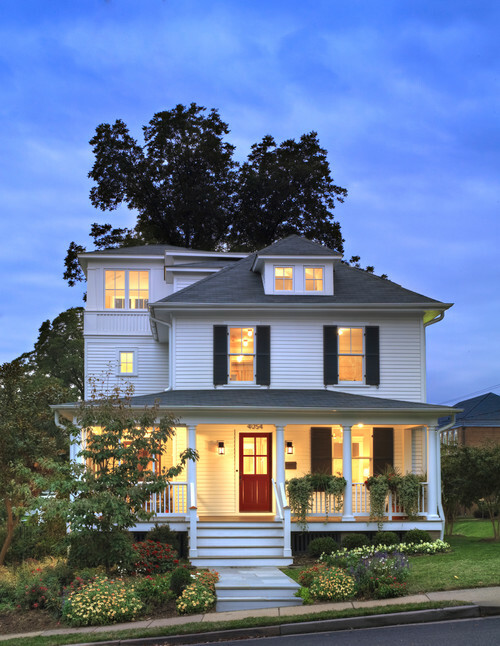 This classic historic beauty has an ample porch, charming dormers, and just the right amount of decorative trim. Window frames are given a two-tone paint treatment that provides definition. 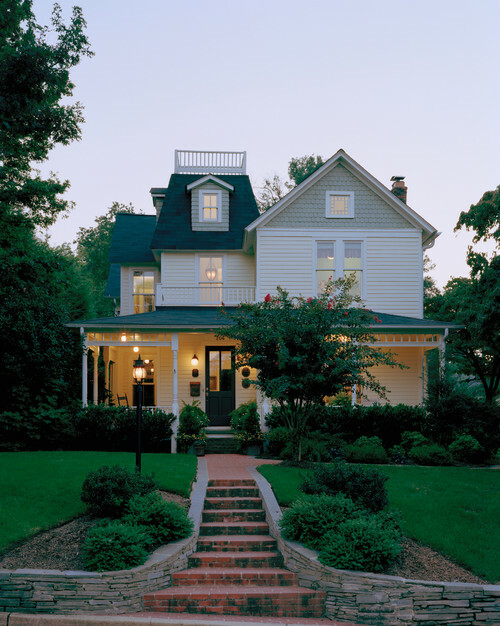 A newer home bears characteristics of a house from yesteryear with a pair of gabled peaks and partial mullioned windows. 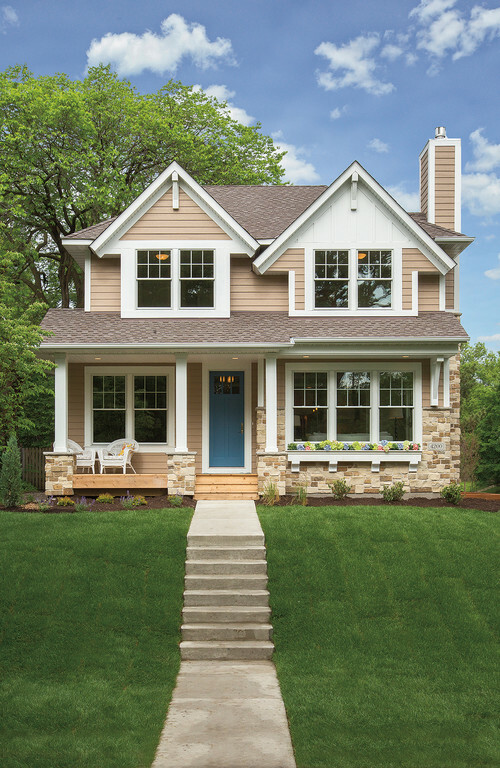 A blue door adds just a touch of color to its neutral exterior. Give me a historic stone house any day of the week! 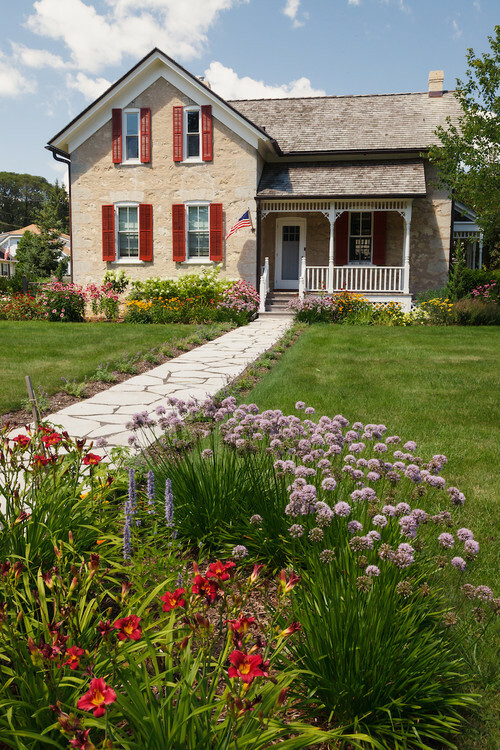 A bit of gingerbread trim adds a Victorian vibe to this Cedarsburg, Wisconsin home. Gray pairs with white on a stucco home. 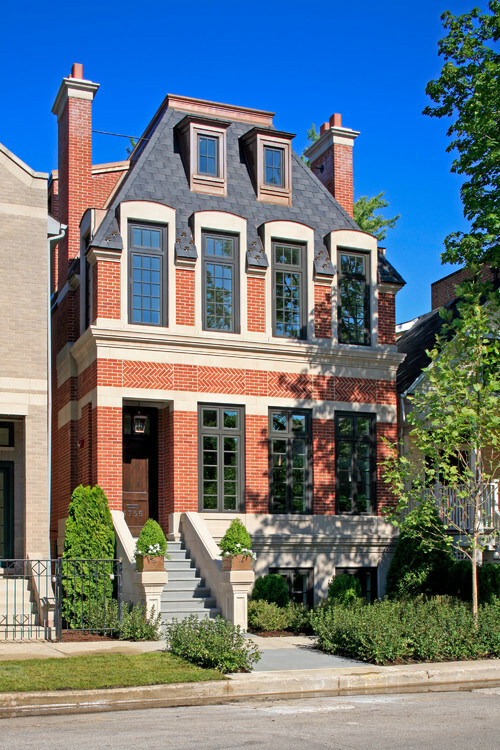 Architectural detailing provides plenty of curb appeal. I’d love to have an arched front door like this home. Lit up at night, this newer craftsman style home has a lot of interesting angles and curves. 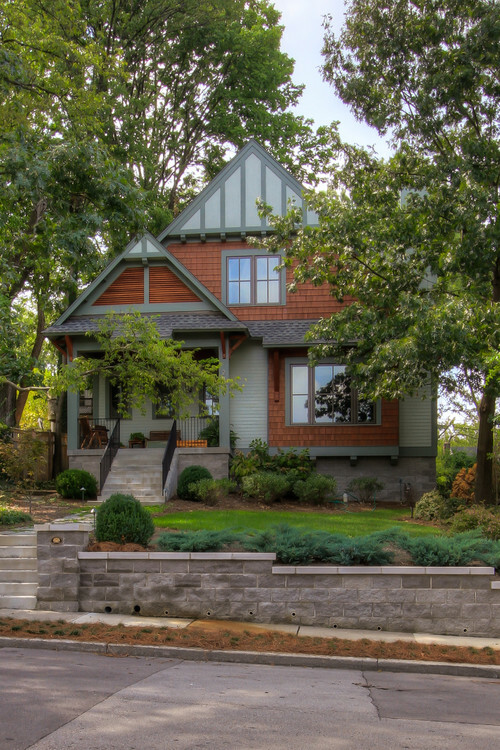 Photo by Christopher Hall Architect, Inc.
Another craftsman home exhibits plenty of curb appeal with its lines, angles, and color palette. I have a thing for blue houses like this one with all its arts and crafts detailing. Is there anyone who doesn’t love a good old farmhouse? Especially when it sports a red front door? 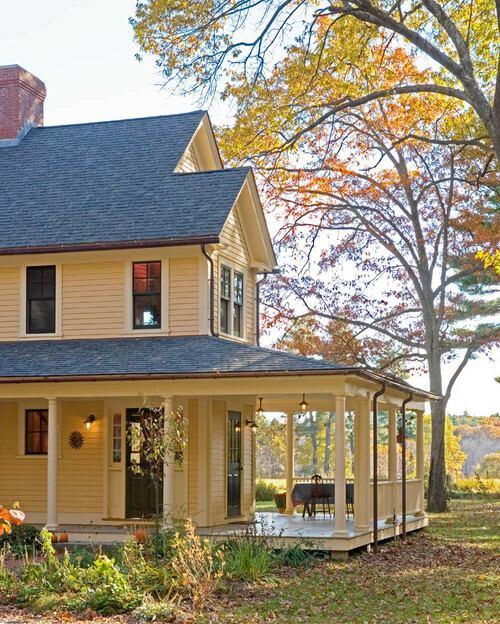 Farmhouses are well-known for their ample porches. 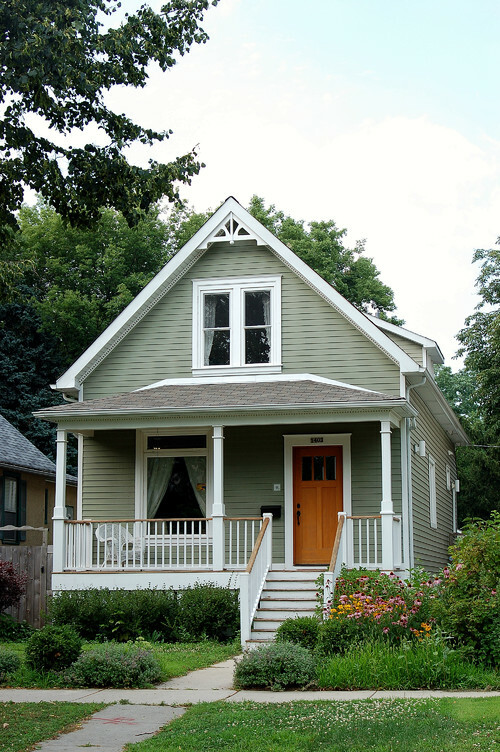 Houses with great curb appeal can be small and charming. They don’t always have to be the biggest house on the block. Be still my heart! I’d love to call this house my home. I’ve always been a sucker for white houses with green roofs. Expansive windows create opportunity for loads of natural daylight inside your home. The windows look great on the exterior, too. 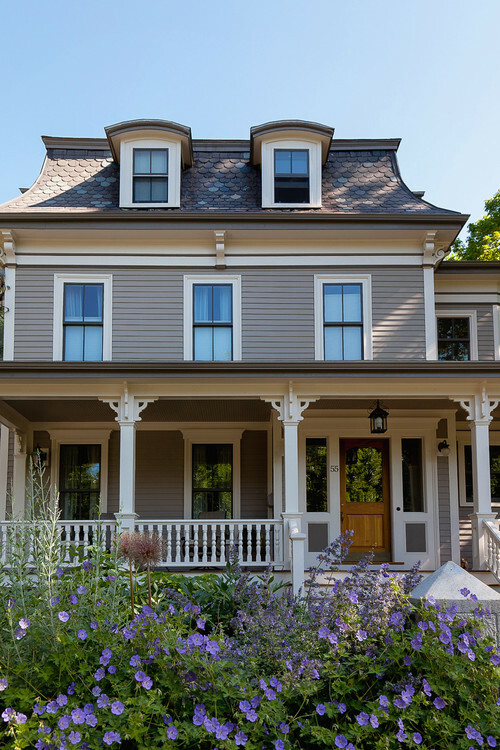 Of these 13 houses you just saw, do any of them stand out as a favorite for you? Love all of these homes! I did notice that none of these are the awful new homes being built these days with all of the roof changes. Beautiful collection of homes. Thanks for sharing! 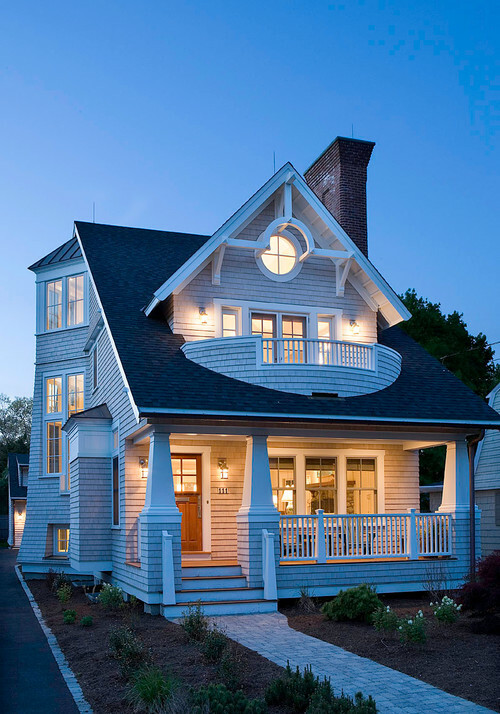 I’ve always wanted a home with a third story.